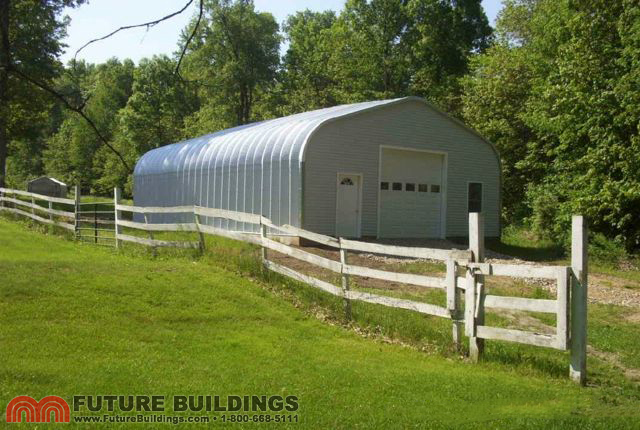 Tony farms 200 acres of his property and was looking for a steel barn to provide shelter for his crops and to house various farm machinery. 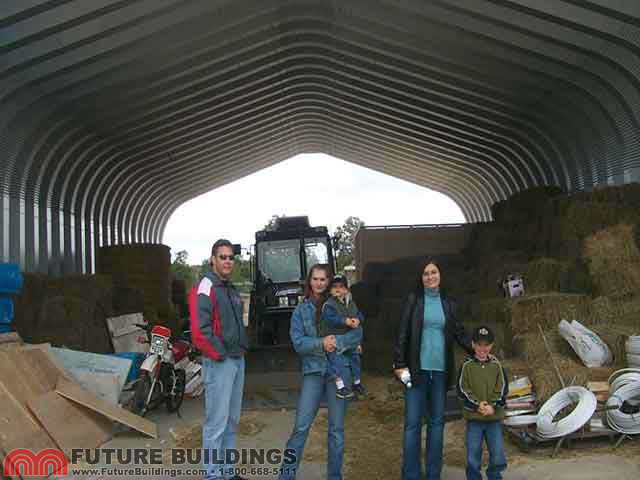 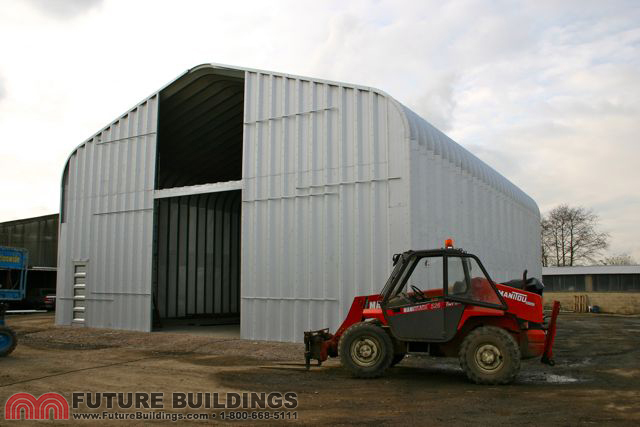 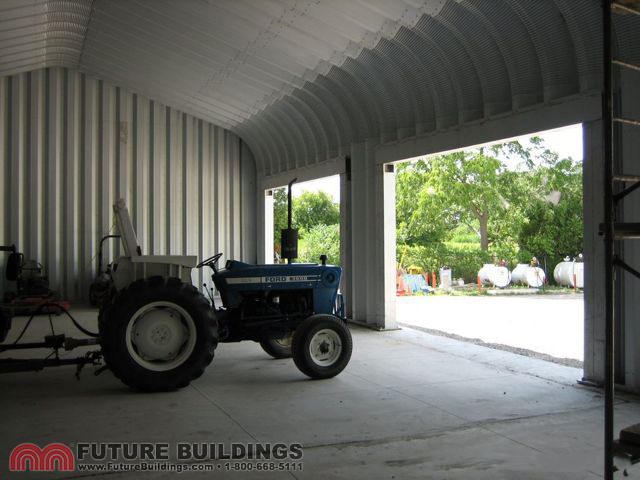 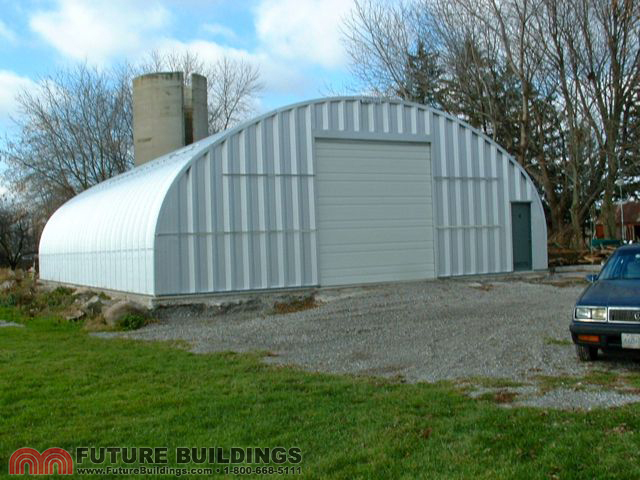 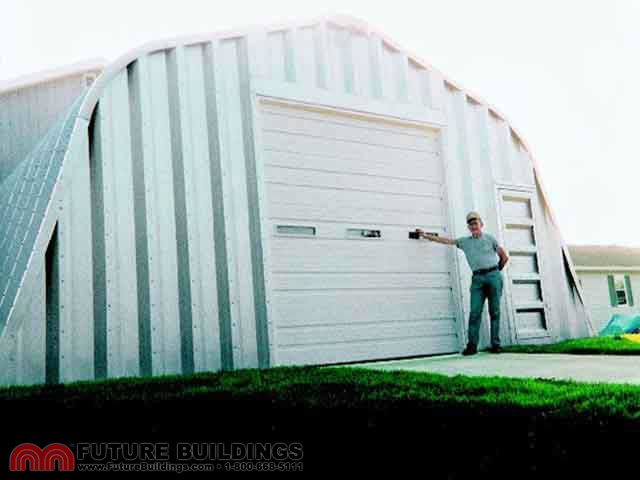 His Future Buildings Steel Building provided him with a large open space for harvesting his crops and storing his tractors. 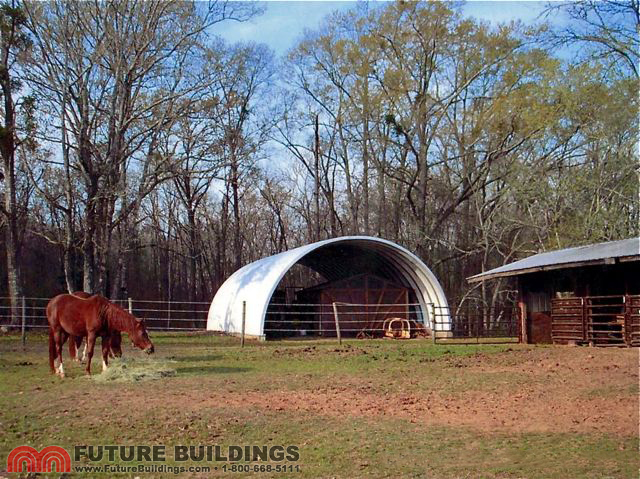 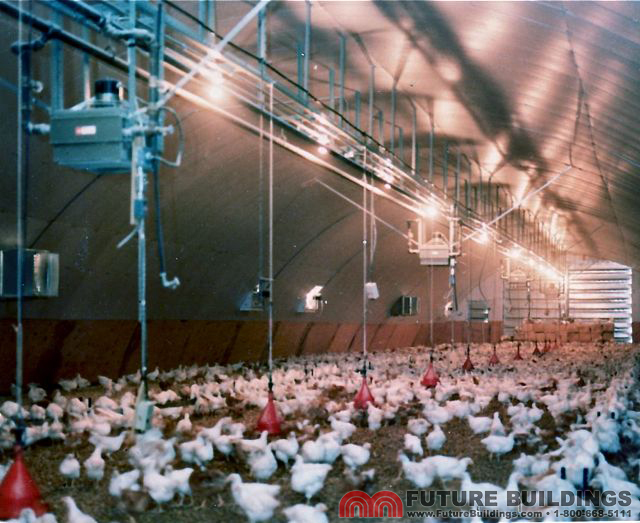 Tony is now purchasing a second building from Future Buildings for his livestock. 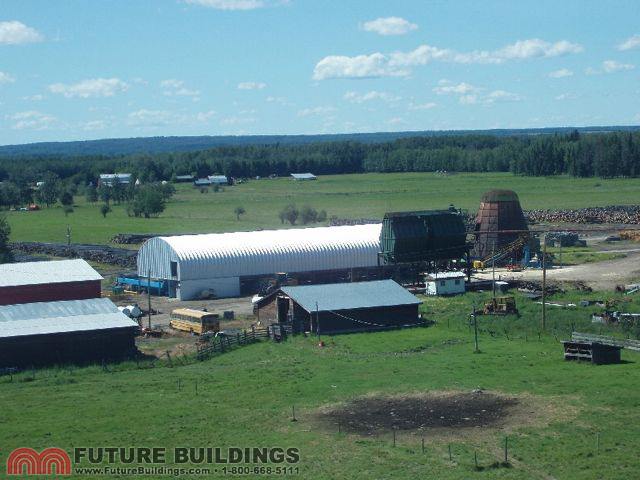 The Belfour family from Northern Ontario purchased a hobby farm. 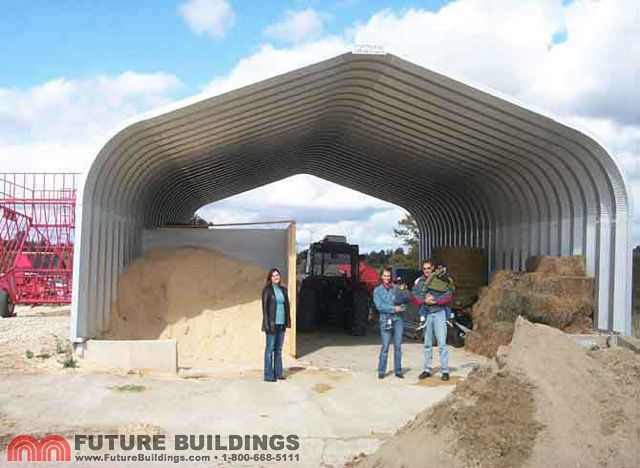 Mr. Belfour was looking for barn storage space to keep animal feed and hay. 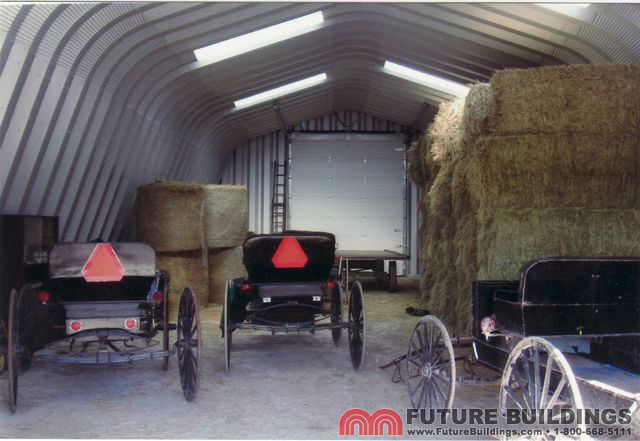 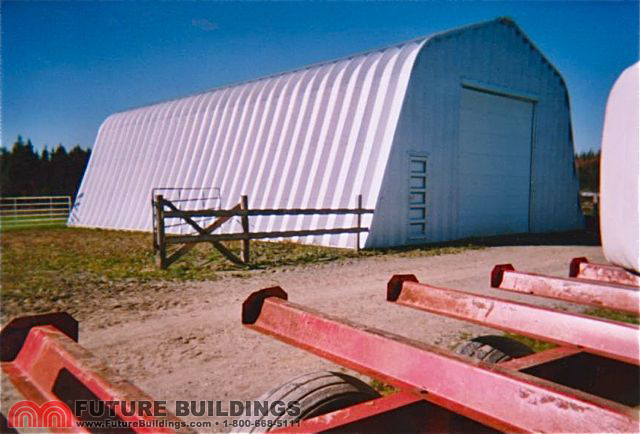 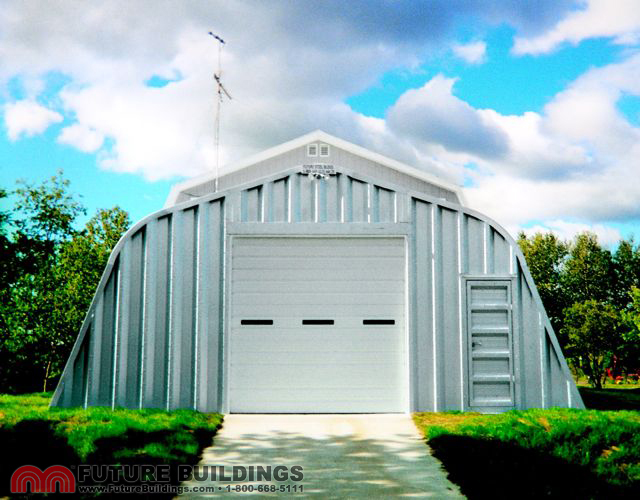 The “A” style steel building was best suited for the Belfour family as it provided large amounts of room for storage, feed, hay and equipment.